short girl, long island. 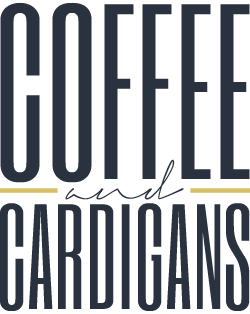 : Giveaway, Day 15: Coffee + Cardigans. CLOSED. I hope you are all making the best of your weekend + enjoying the little things. Today's giveaway is from Callie, the gal behind Coffee and Cardigans. Callie's blog focuses on being able to dress well, while on a college budget. In the theme of making life more budget-friendly, Callie is offering up a free month of large ad space for one lucky winner. If you've missed any of the giveaways, there are still many to enter. Click here to see what gifts are still up for grabs. I like to find stuff on sale and using my sewing and craft skills by replacing buttons and hemming pants or altering them in someway to make them my own -- like I love to buy discount men's band shirts and cutting them up! In addition to your month of giveaways being awesome because we all get to enter to win prizes, I love that I am being introduced to so many new and interesting blogs! Versatility is key for my wardrobe, as well as my inherited (thanks, Babci!) bargain-hunting skills. If I can't think of at least three different ways (to work? casual weekend? out? with jeans? with a hoodie? with boots?) to wear a piece, it doesn't come home with me. Budget friendly tip: Staple pieces in neutral colors. I have tons of neutral colored camis that I can mix and match underneath cardigans or shirts...stretches the wardrobe for sure! Shop the Clearance racks! I never buy anything full price.